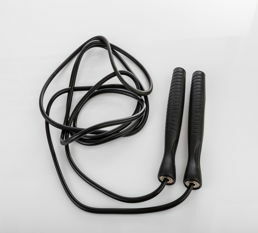 Aerobic jump ropes, skip ropes or skipping ropes come in a variety of lengths, widths, materials and colours. Generally ergonomic, light weight handles are preferred with an easy swinging rope. 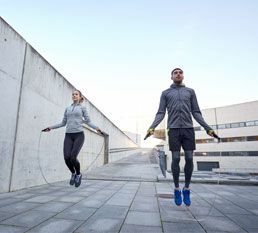 For a good swing the rope itself may not be too light. 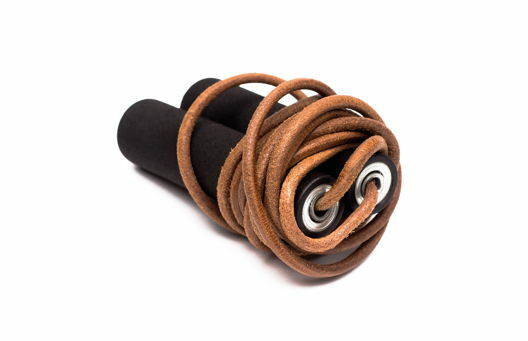 To lower the friction and increase the speed some brand use one or two bearings per handle. The plastic handles have protective rubber caps.